Although widely recognized as solely a technology brand, Samsung is actually more of a conglomerate. The South Korea based company extends into the financial services, tourism, science and machinery businesses as well. But tech is what Samsung does best, as Forbes ranks it 94th on its list of the top 100 digital companies for 2018. Unfortunately for American investors, Samsung stock is difficult to get your hands on without a bit of legwork and fees. 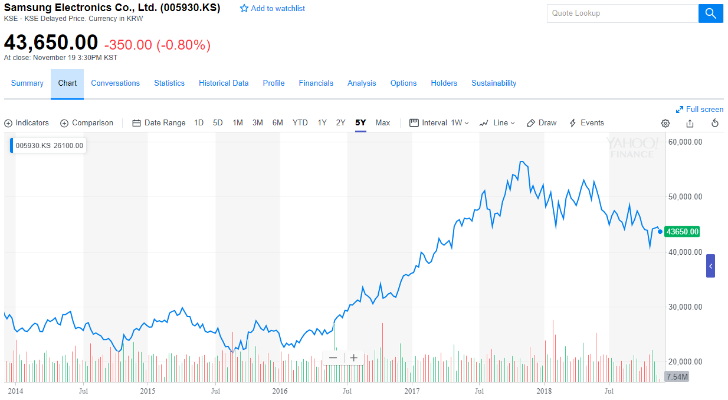 Because Samsung’s securities are not readily available on the U.S. investment market, Americans must buy them through the Korea Exchange (KRX). This, as you might imagine, is located in South Korea, which complicates matters for foreign investors. In order to trade on the KRX, you’ll need to gain authorization from South Korea’s Financial Supervisory Service to trade directly or open a brokerage account with a local firm or bank. To become eligible as a non-resident investor on the KRX, you’ll need to file specific paperwork. This includes a copy of your passport, an investment ID application, a registration of signature, a standing proxy agreement and a resident status determination document. Only after this will the Financial Supervisory Service afford you an investor registration certificate (IRC). Once you receive your IRC, find a South Korea-based brokerage firm or bank with broker services and fund your account. You can then purchase Samsung stock as you please. Merrill Lynch is one of the premier brokerages that trades on an international basis. It currently operates one branch in Seoul, South Korea. This could be an especially beneficial option for Americans who either already have a relationship with Merrill or want to deal with a firm that has locations in the U.S. However, be wary, as the KRX began keeping close tabs on Merrill in August 2018. Officials felt this was necessary as there were claims that the firm’s “high-frequency trading system” could violate local laws. Although a more indirect method, investing in exchange-traded funds (ETFs) that center around the South Korean market allows you to buy into Samsung. ETFs consist of a large number of equities or other investments that center around a particular theme or sector of the market. Furthermore, investing in ETFs is significantly cheaper than investing directly in Samsung’s foreign stocks. Because Samsung makes up such a large portion of South Korea’s economy, many of these ETFs include its shares within their makeup. 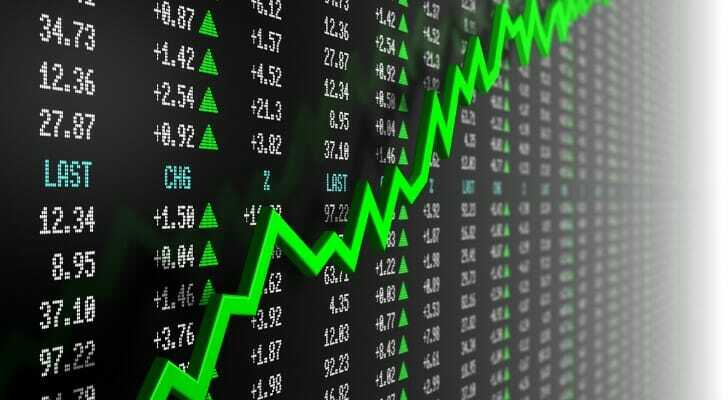 Some common versions of these funds are the iShares MSCI South Korea ETF (EWY) and the Xtrackers MSCI South Korea Hedged Equity Fund (DBKO). For each of these ETFs, about a fifth of their holdings reside in the electronics division of Samsung. As you can see from the table above, Samsung is a juggernaut of a company. So while TVs, mobile phones and other electronic devices are its largest money-maker on an international scale, Samsung’s presence in other areas of the market gives it ample internal diversification. When you take this information and combine it with the impressive past growth Samsung has experienced, the company establishes itself in blue-chip stock territory. Should You Buy Samsung Stock? The fees and other stipulations associated with investing via the KRX could be substantial. For example, you will incur standard trading costs and minimum order requirements, as well as possible U.S. dollar to South Korean won currency conversion fees. On the other hand, investing in stocks on the American market is typically much cheaper. This reason alone makes investing in Samsung a risky venture, as extraneous charges could diminish strong returns. It’s worth noting, though, that Samsung’s stock has performed admirably, especially in recent years. But because of the aforementioned fees, these returns are usually most accessible to high-end U.S. investors. In turn, ETFs that include equity in Samsung might be the more beneficial investment for the average trader that doesn’t have the time or resources to file for an IRC and work with a local South Korean broker. It can be difficult to figure out exactly what level of returns you’ll need to reach your ultimate financial goals. The rule of 72 is a shortcut that can aid you with this, and all it requires is simple math. If you feel unsure about how to create a well-diversified investment portfolio, perhaps a financial advisor could help. SmartAsset’s financial advisor matching tool will pair you with up to three local fiduciary advisors who can get your investments on the right track. 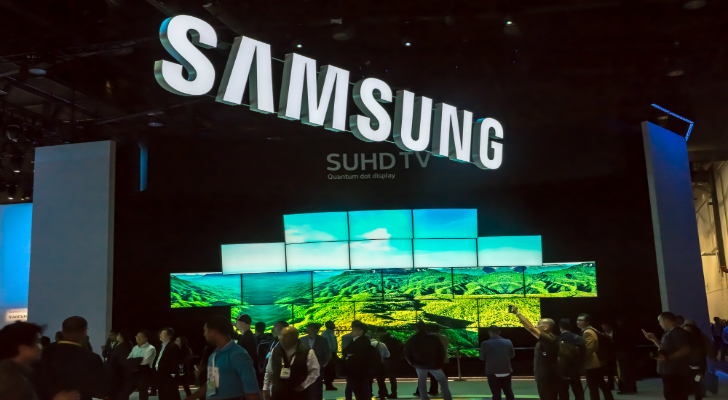 The post How to Buy Samsung Stock appeared first on SmartAsset Blog.